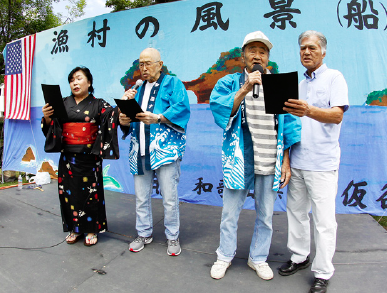 The 47th annual Terminal Islanders Picnic will be held at 11 a.m. on Sunday, June 10, at George Bellis Park, located at Knott Avenue and 8th Street in Buena Park. Entertainment will be provided by L.A. Kayo and Jim Coots’ group, Pihemanu. There will also be games and races for children, “Tanko Bushi” odori and a traditional mochi-maki. Raffle prizes include: first prize, TV or $500; second prize, iPad or $300; third prize, Dashcam or $100; and many more items. Bento lunches will be available by pre-paid order only at $17 each. Deadline to order is Monday, June 4. For those interested in having their names added to a Donor Plaque on the wall of the Terminal Island Memorial Monument, request forms will be available at the picnic. Deadline to submit forms and payment is Aug. 10.